Start reading The Signal and the Noise: The Art and Science of Prediction on your Kindle in under a minute. 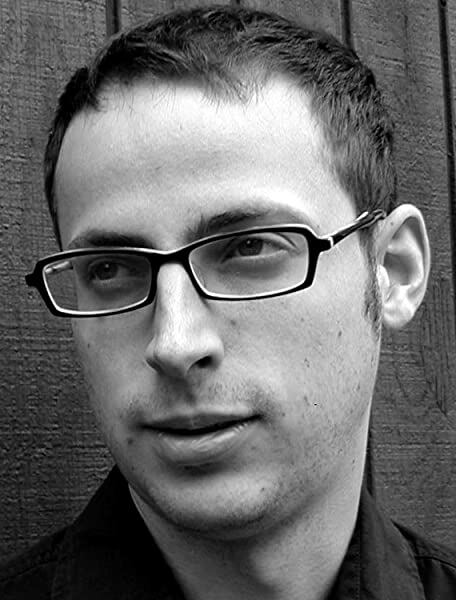 Nate Silver is best known for his website FiveThirtyEight and his predictions concerning US presidential elections, and for general media punditry concerning statistical inference. The Signal in the Noise is his first book and provides a critical appraisal of the art and science of predictive analytics. The strengths of the book are: very clear explanation as to how prediction is calculated, a wide selection of interesting examples, and good balance in detailing the relative strengths and weaknesses in predictions and the work of statisticians. The book is pitched at an interested lay-reader audience and rarely deviates from that level with Silver managing to convey relatively complex material in an accessible way. That's not to say that the book is non-partisan. A central argument is the promotion of Bayesian statistics to improve predictive analytics, and he rightly takes to task many industries that use extensively prediction, such as finance, but do such a poor job of calculating what might happen in the future. The weaknesses of the book are that it is overly long and starts to become repetitious with too many examples that little add to the argument being made, and sometimes it fails to take account of factors outside of analytics as to why models and businesses fail (in the case of finance, cultural and structural issues as to how the industry is organized and run). Overall, a good introductory overview of making sense of information for the purposes of calculating predictions. Nate Silver became a household name when his fivethirtyeight website correctly predicted all 50 states's results in the US Presidential election. I started this book with high hopes of a clear treatise on prediction. I very quickly got bogged down however, in the highly US-centric nature of this book. Starting with lots of detail about US political pollsters and pundits, we quickly move to a highly detailed chapter about baseball predictions. Although this is ok to understand for a non-baseball afficionado, the endless baseball terminology quickly reaches critical mass. The theory is ok - baseball is easy to make statistical models for because the batters just bat and the pitchers just picth - only the fielding is the team part. So it's not like football (or soccer as Nate would no doubt call it), because it's fairly pure. In fact it maps fairly well to cricket, but there is no mention of cricket in this book. And in fact there is barely any mention of anything outside the US in the whole book. Having said that, this is a fairly readable book with some interesting chapters. It's not as clearly written as I hoped and the sections on weather forecasting (again mostly concerned with US Hurricanes) and poker (international I know and something Nate himself played professionally) are ok, but a bit woolly in their exposition. Later chapters are much better - the one on chess playing computer programmes (and the effect of bugs therein) and another on climate change are well written, although the latter - like the one on stock market predictions - is steady rather than having astounding revelations. As another review has pointed out the book is light on the maths itself, but we are constantly reminded of Bayes theorem and how we can use it for real world, complex problems to check whether we are on the right lines when we predict things. I wasn't convinced by everything in this book, but it improved as it went on and if one can ignore the parochial nature of its US author it is certainly worth a read. Highly informative and thoughtful, to the point of actively changing my way of thinking. Quite heavy on statistical theory in part, so it's not a light and fluffy 'Freakonomics' type book, but I really couldn't wait to get onto the next page. 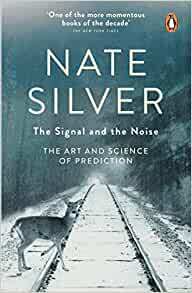 Nate Silver covers baseball, earthquakes, weather, poker, banking and other topics throughout different chapters the book, giving a new and interesting insight into each. So much so in fact that I have been passing off many of the statistical revelations in my own conversations since, which has undoubtedly made me the life and soul of any party! The only downside I would say is that it can be quite Americanised at times, particularly with the baseball parts where the author assumes knowledge about field positions and typical hit rates when discussing game stats, which will probably be lost on a lot of European readers. This book is interesting and makes some good points, but it is just far too long. A good editor could easily cut this book down to at least half size, probably even to a quarter of the size, and not lose any important information. It just takes forever to read. For example, the chapter on baseball is ridiculously long and wanders far from the point of the book (making predictions) into the fine details of baseball. I didn't think it was ever going to end! There's a good book trying to escape from the huge mass of words in here: a second edition with a decent editor to hack it down to size would be well worth a read, but with the current edition it's just too time-consuming to find the nuggets of wisdom.